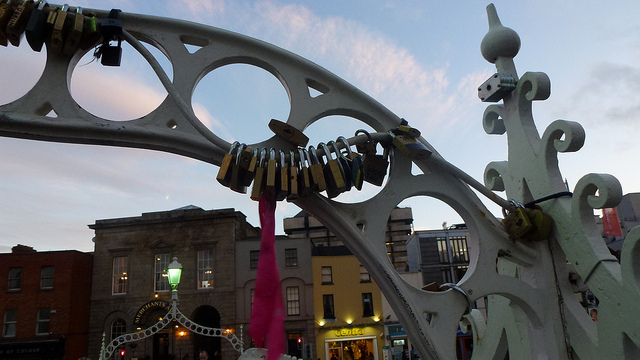 Love Locks on the Ha’penny Bridge: Romantic Tradition or Act of Cultural Vandalism? Since the turn of the millienium, love locks have become frequent sights around the world. In Dublin, you’ll find them all over the Ha’penny Bridge. Where did the idea for love locks come from?